This resort is just a few metres from the Atlantic Ocean and surrounded by the lush Praia dos Aveiros scenery. It has indoor and outdoor pools and a terrace. The air-conditioned rooms at the Auramar Beach Resort are bright and airy. Hotel Apartamento Balaia Atlântico offers contemporary, self-catering accommodation less than 5 km from the beach resort of Albufeira. It features 2 swimming pools, a hot tub and tennis court. Rooms are modern and spacious. Featuring free WiFi throughout the property, Akisol Albufeira Júlio Dantas is a villa, set in Albufeira. The property is 1 km from The Strip - Albufeira and free private parking is offered. There is a seating area and a kitchen. A TV is provided. 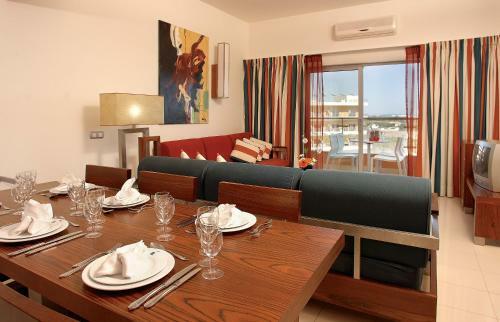 Located in Albufeira, Apartamentos do Atlantico features bright apartments with balconies, sea views and access to an outdoor pool. 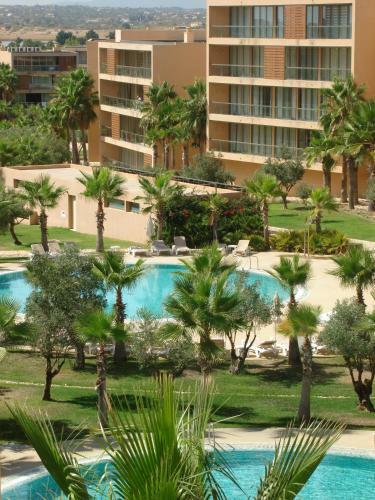 Situated close to the centre, the unit is 800 metres from Pescadores Beach. Situated in Vila das Lagoas and integrated in the Salgados condominium, Herdade dos Salgados Apartment offers swimming pools and a supermarket, 9 km from Albufeira.